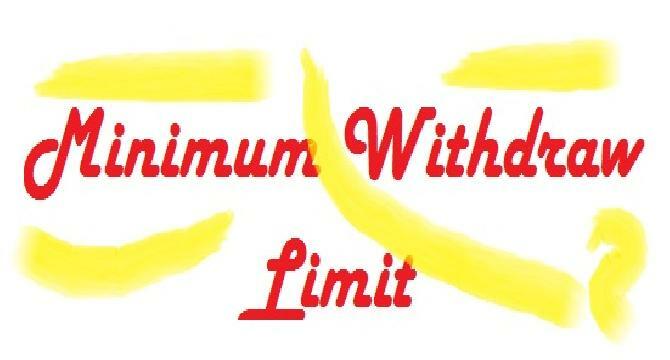 After having 7 posts I thought about the minimum withdraw limit here at chillkey.com. Possible it may have been written on here but I could not find that. This post is just a question to all members here and specially to chillkey admin about the minimum withdraw limit. Although purpose of earning money here on chillkey comes after the crazy purpose of social networking but knowing about minimum withdraw is also needed by all members. I honestly say that i have enjoyed here a lot writing about anything and just sharing that. Whenever I find some time to write about I definitely write here. Good Luck to Chillkey & Good Luck to All members. If you read the Faq page below, you will see that the minimum amount is PKR 200. This page has been added recently and gives all sort of rules and information. Yes there is all the answers on Faq page which we need to know about the chillkey.com so every member should read that page. the minimum amount to withdraw here at Chillkey is Rs.200 . Please if you have any questions you can easily check answers on their facebook page.